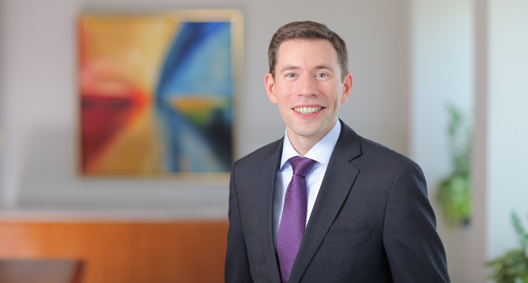 Mike Mumford concentrates his practice on antitrust counseling and litigation, as well as other complex commercial litigation, with an emphasis on defending class actions against the insurance and financial services industries. Mike has specific experience defending domestic and foreign firms against claims of international price fixing and other cartel activities. He also regularly advises insurers on a range of issues, including extra-contractual liability, coverage questions, and claims practices. He has defended some of the largest companies, as well as midsize firms, and has developed and implemented effective, cogent strategies of defense specifically suited to respective defendants. Represents major auto insurer against antitrust claims brought in multidistrict litigation by more than 100 auto body repair shops challenging auto body repair reimbursement rates. Defended and oversaw the national defense of numerous class actions against major auto insurers relating to claims adjustment practices, including the use of nonoriginal equipment parts, depreciation deductions, the use of estimating software, and the determination of prevailing repair rates. Represents casualty insurer in putative class action challenging underinsured motorist coverage claims and sales practices in New Mexico. Defended various insurers in high-exposure bad faith litigation. Defended national casualty insurer in putative class action challenging medical payment reimbursement calculations under California law. Defended one of the largest publicly traded companies in Japan and its foreign subsidiaries against antitrust and consumer protection claims brought in multidistrict litigation by classes of direct and indirect purchasers and by original equipment manufacturers, retailers and distributors alleging that prices of LCD panels were fixed. Represented major auto insurer in putative class action challenging installment fee calculations and practices. Defended national casualty insurer in putative class action alleging discriminatory practices related to the selection of network auto body repair shops. Obtained dismissal of all claims against the client, which was affirmed by the Fifth Circuit. Defended one of several manufacturers in multijurisdictional class actions and suits by attorneys general alleging price fixing in the vitamin industry. Settled with the class plaintiffs and attorneys general on favorable terms. Defended regional bank against fraud, conversion and Uniform Commercial Code claims in several class actions arising out of an alleged Ponzi scheme perpetrated by third parties. Obtained dismissal of all claims on statute of limitations grounds. Successfully argued cases before the Sixth Circuit, which unanimously affirmed each of the district court's decisions. Defended a major bank against civil anti-racketeering law claims in a putative class action challenging the client's referral of title insurance work to its subsidiary title company. Settled the case on favorable terms while a motion to dismiss was pending. Defended certain of the largest domestic title insurers in consumer class actions challenging rate discounts in residential mortgage refinancing transactions. Persuaded the district court to decertify the class. The decertification ruling was affirmed on appeal by the Sixth Circuit. Represented the nation's largest product certification and testing organization in a putative class action challenging the client's testing protocols. Successfully defeated the class certification, leading the named plaintiffs to dismiss their claims. Defended national mortgage lender in a consumer class action asserting Fair Debt Collection Practices Act, Truth in Lending Act and Real Estate Settlement Procedures Act violations. Successfully defeated the class certification.